Experience even more exhilarating battles. 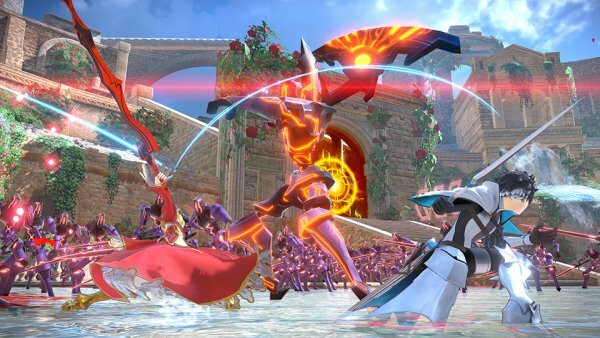 The latest short gameplay video of Fate/Extella Link focuses on the game’s new action systems. Previous gameplay videos showcased Gilles de Rais and Lancelot, Arjuna and Darius III, Francis Drake and Robin Hood, Astolfo, Scathach, Charlemagne, Karna, Iskandar, Archimedes, Altera, Medusa, Artoria Pendragon, Lu Bu Fengxian, Cu Chulainn, Jeanne d’Arc, Gilgamesh, Gawain, Tamamo no Mae, Elizabeth Bathory, Li Shuwen, Nero Claudius, and Nameless.